Asano, the world’s first native KNX multiroom audio system, amplifies and distributes uncompressed hi-fi music in luxury homes all over the world. 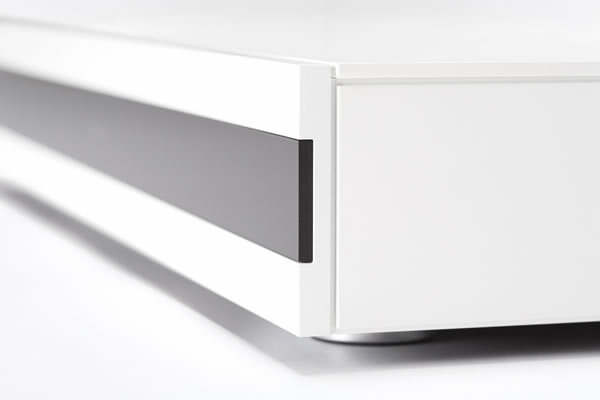 Now, Basalte completes this solution, as they proudly introduce the Asano S4 music server and the M4 multiroom amplifier. With the Asano multiroom audio system, Belgian manufacturer Basalte offers excellent sound quality in a virtually unlimited number of rooms. Together with the unequalled scalability and flexibility in setup, Asano serves as the perfect networked solution for high quality audio in bigger homes. Basalte now completes the Asano solution as they proudly introduce the S4 music server. The S4 hosts 4 digital audio streams with extensive room management tools and user profile options. Another unique feature is that you can stream local content from your iOS device to individual rooms and even to multiple rooms at once. Additionally, you can listen to your favorite internet radio stations, as well as access your music library from a NAS. With the Asano app and KNX integration, you easily control your music whenever you need it, wherever you are. The intuitive user interface is fit to your daily needs by Basalte’s usability standards, enabling quick access to the most important controls, whilst keeping all other functionalities easily accessible. Basalte proudly presents the four zone multiroom amplifier M4. Combined with the S4 music server, you can create a powerful networked audio system for a virtually unlimited number of rooms with the same Asano flexibility and scalability. The integrated 80W ICE Power amplifiers from Bang & Olufsen let you enjoy Asano’s renowned quality in sound.